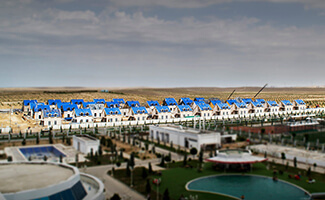 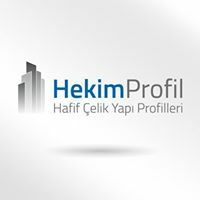 50 pcs Villa Project on 9.500 m2 closed area. 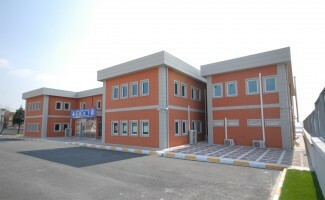 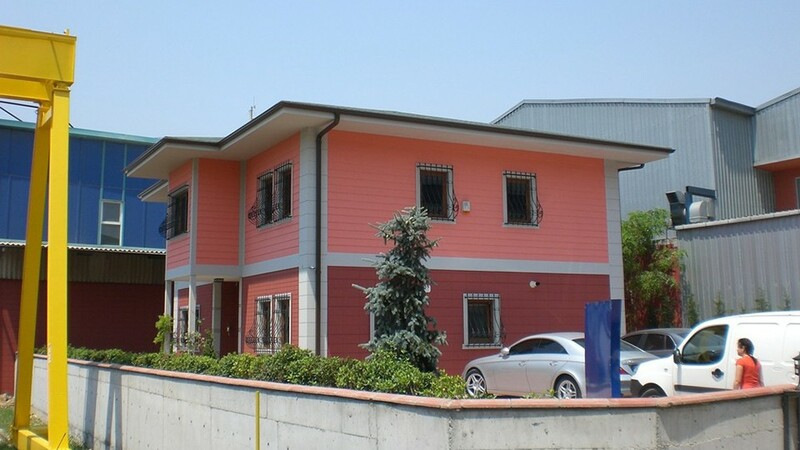 Steelin – Light Steel Structure System was applied in the production of this office. 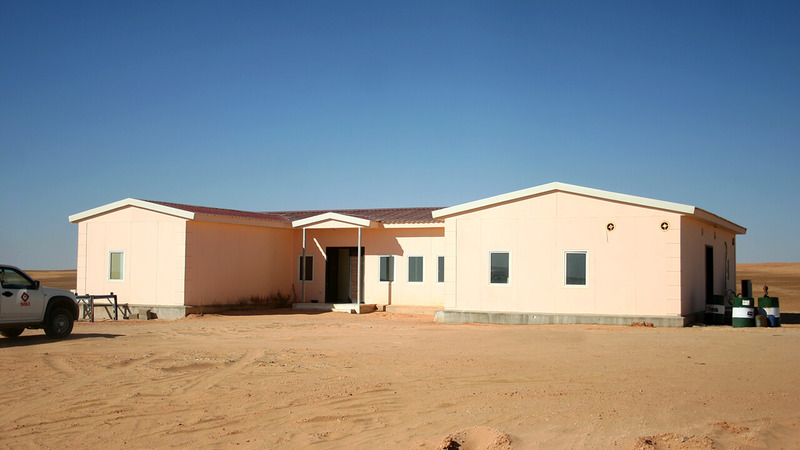 This is an administration office Project. 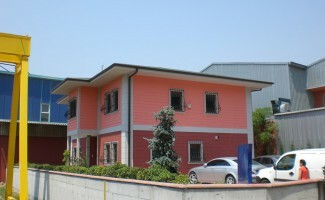 Steelin – Light Steel Structure System was applied in the production of this office. 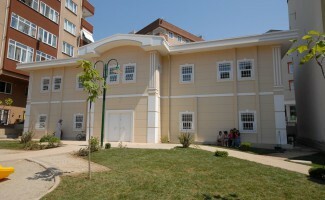 This is a housing Project. 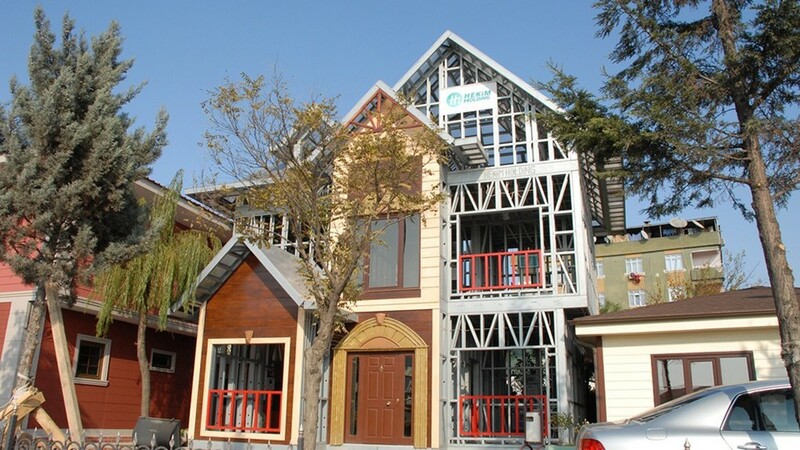 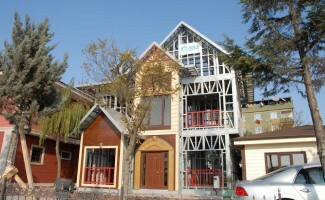 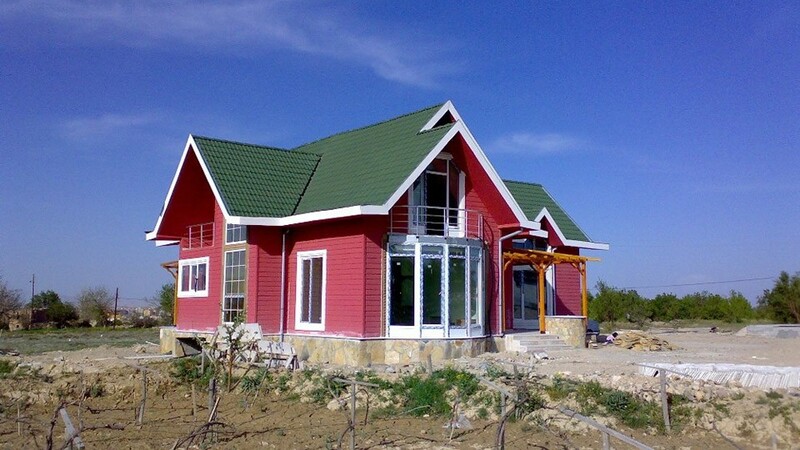 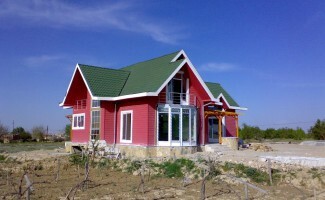 Steelin – Light Steel Structure System was applied in the production of this house. Upper fIoor serves as family healthcare center and lower floor is used as kindergarten in this project we delivered as turn-key and it has an area of 450m2. 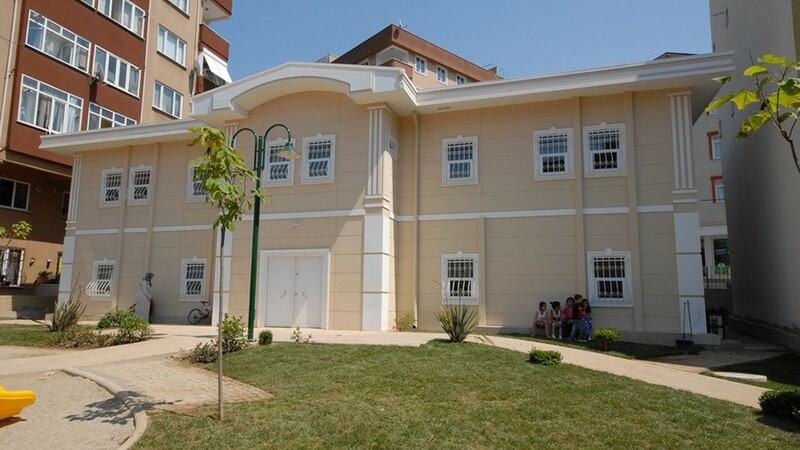 All installations of the building designed with the details of Hekim Çelik Carcassed Panel System are flush mounted. 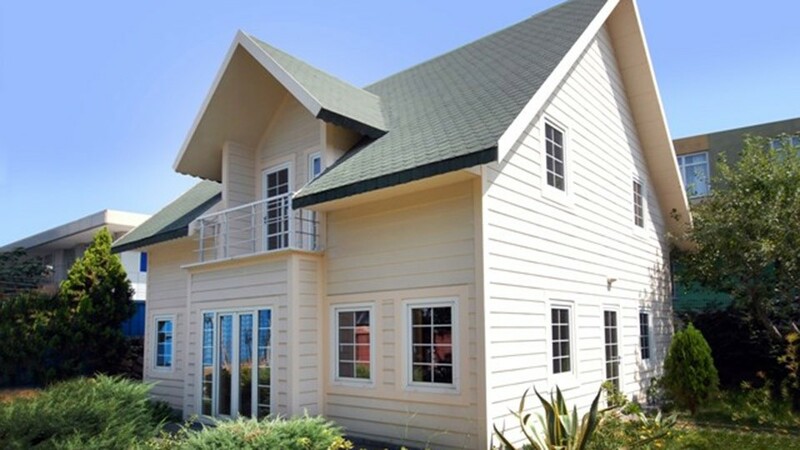 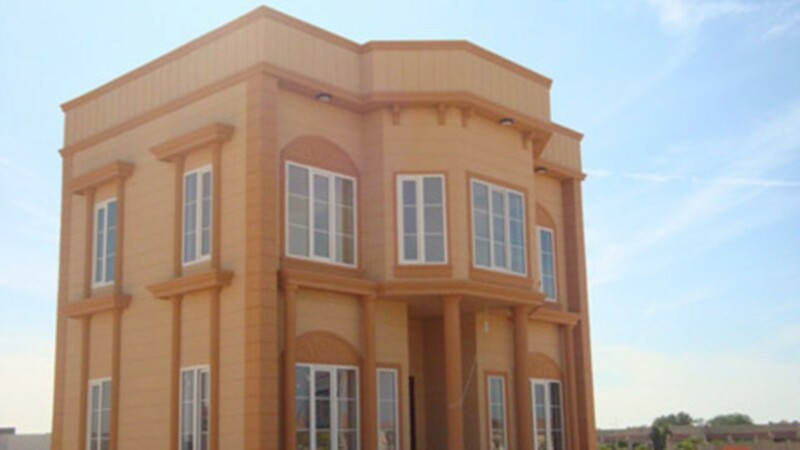 jamb, floor moulding and corner ornaments made of fibercement material used for the exterior siding have giyen an outstanding aesthetics to the building which has been manufactured and constructed completely by our teams. 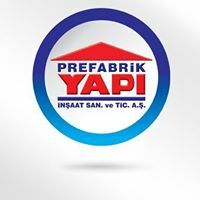 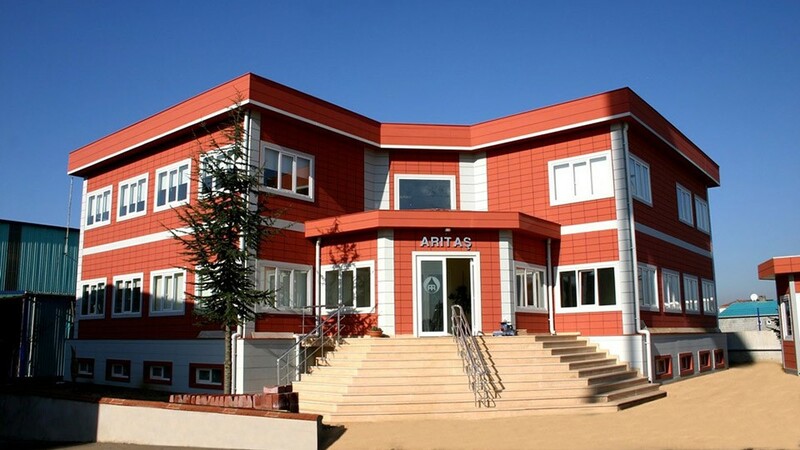 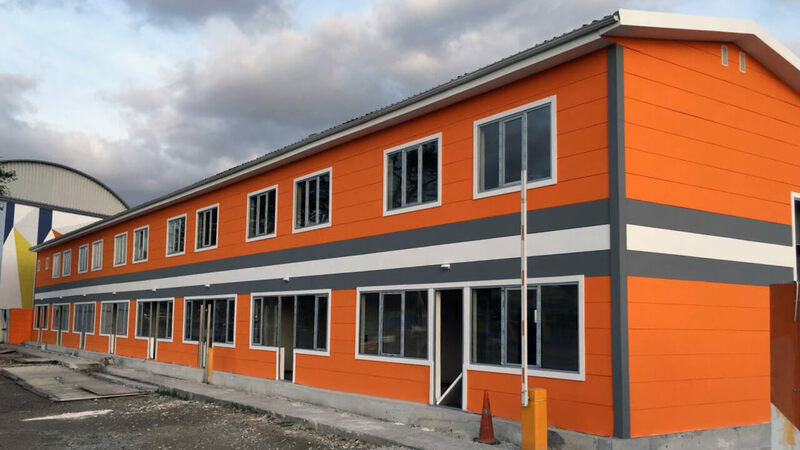 The building which has total quantity of 1,550 m2 and has been designed as two-storey building with prefabricated lightweight steel construction system has been manufactured with wide allortures and additional materials by applying special static studies. 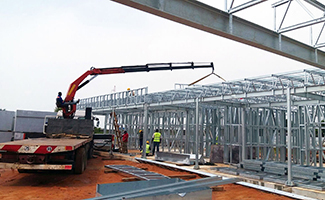 Following the steel carcasses installations carried out on-site, insulation and surface coating works have been completed. 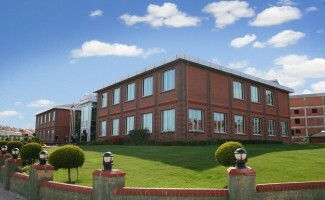 Silicon siding and adhered brick applications have been employed for the exterior wall surfaces. 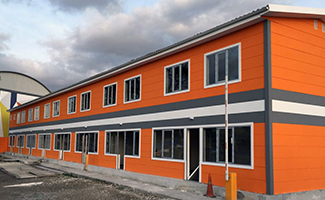 460 m2, Hekim Steel Carcass Panel System, hidden roof with parepet, fibrocement implementation with terracotta patterns on exterior part. 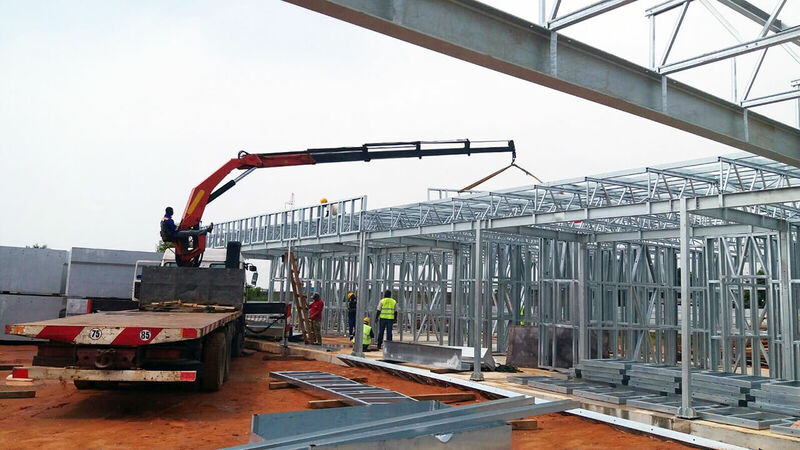 On-site installations of the steel carcasses with 17 cm-thick and various sizes for the building designed with prefabricated lightweight steel construction system have been completed. 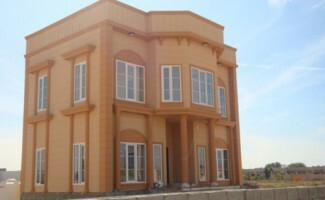 Subsequently, insulation preferred as rock wool and moisture barrier have been finalized. 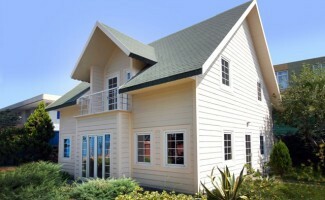 Terra-cotta, fibercement surface alternatives have been preferred for the indoor and outdoor surface coverings. 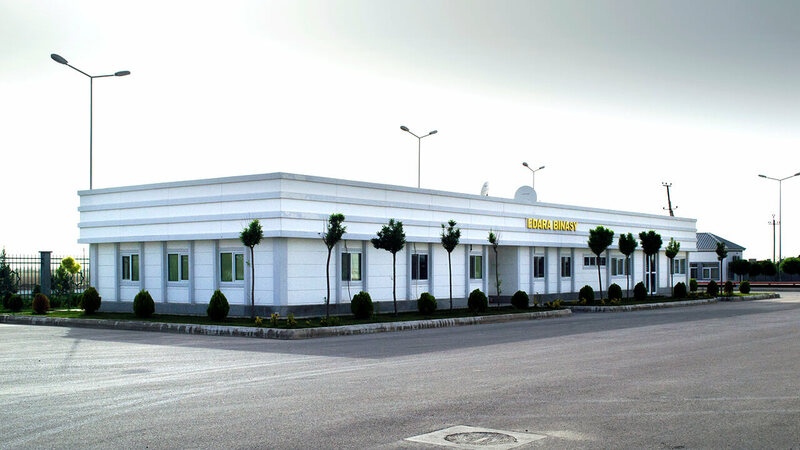 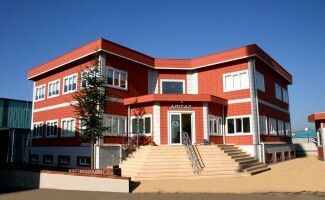 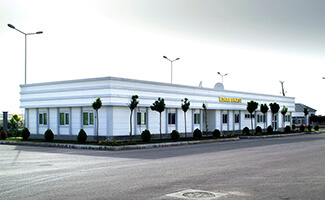 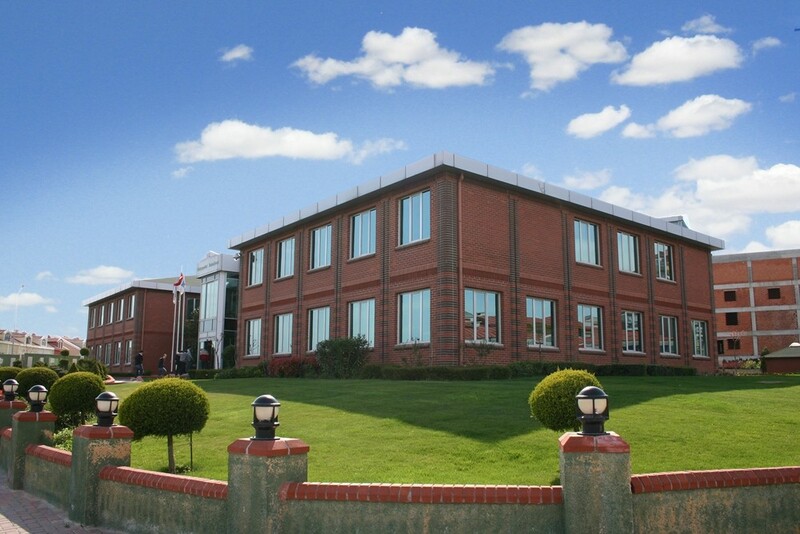 The construction which has 1,400 m2 area in total comprises of two-storey offices and single-storey multi-purpose building. 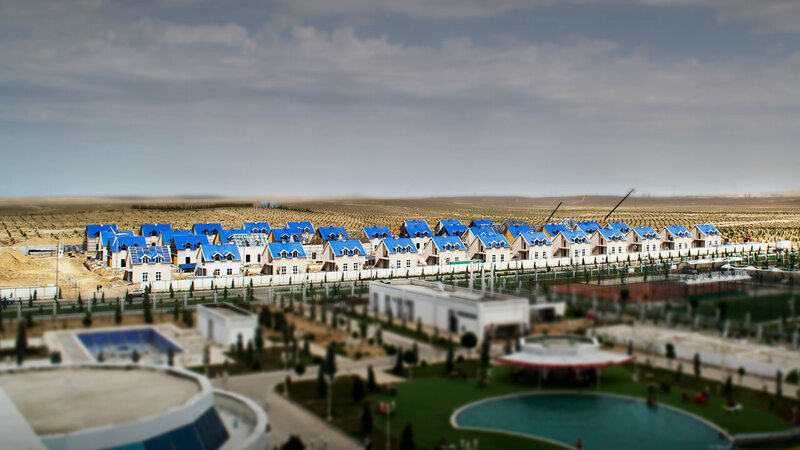 Steelin is building luxury villas in Abu Dhabi, the capital of United Arab Emirates. 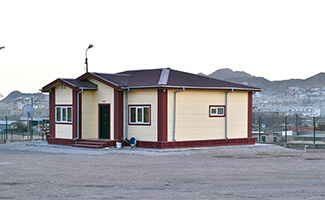 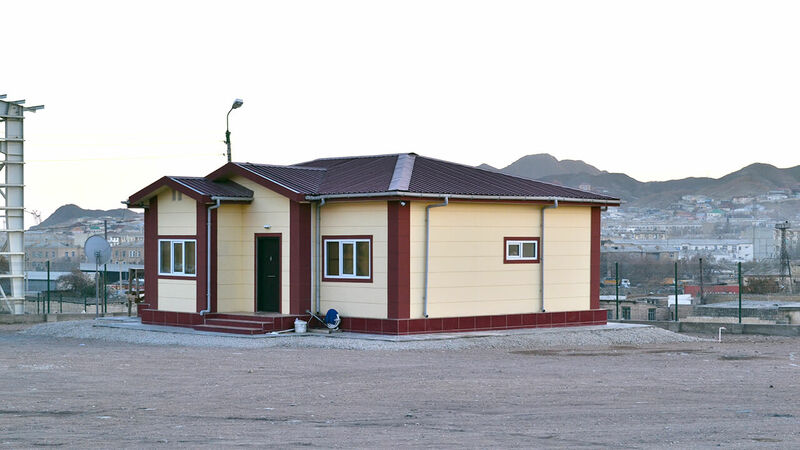 Below criteria take place in choosing our prefabricated buildings produced in high standard galvanized building steel. 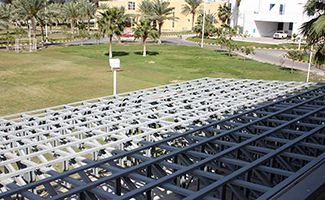 These are lightness, resistance to earthquake, fast and faultless production, supervision and quality control, long-lasting, resistance to corrosion and rusting, being environment-friendly and able to be recycled, providing a clean environment on the site, being demountable-mountable, easy to assemble, product quality, being affordable, service quality and being aesthetic. 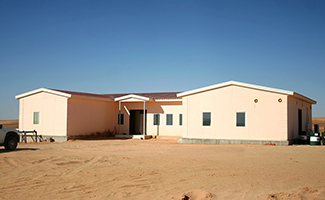 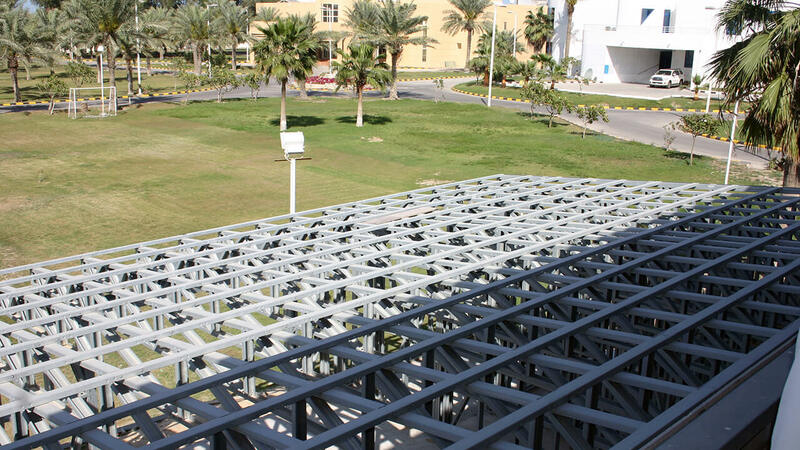 The static calculations of two-storey villa which was manufactured and assembled by Steelin in Abu Dhabi were calculated compatible to the geographical conditions of the place it will be built on and designed specifically within the frame of related standards and regulations. 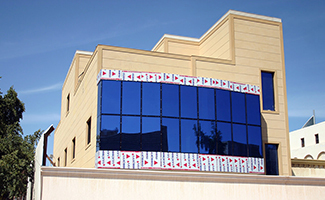 Fiber cement (cellulose fibered cement plate) is used fully on the exterior of the villa as siding. 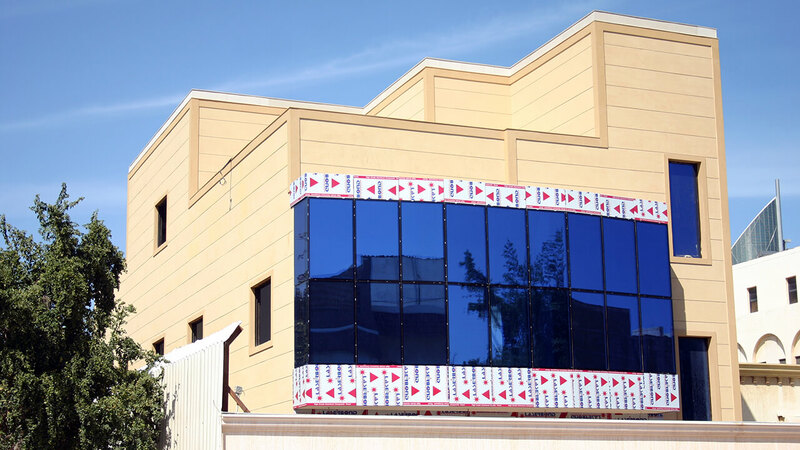 The material which can be cut in required dimensions and forms is coated on the precast steel carcass with on-site cladding method.